Accueil / MusGo Rider Cooperative Ltd.
MusGo Rider Cooperative Ltd. has been providing rural public transportation to residents of East Preston/Lawrencetown east to Ship Harbour since the fall of 2012. MusGo Rider Valley-Sheet Harbour Cooperative Ltd., in partnership with stakeholders from Musquodoboit Valley and Sheet Harbour, was formed in 2016 to provide rural public transportation to these communities. 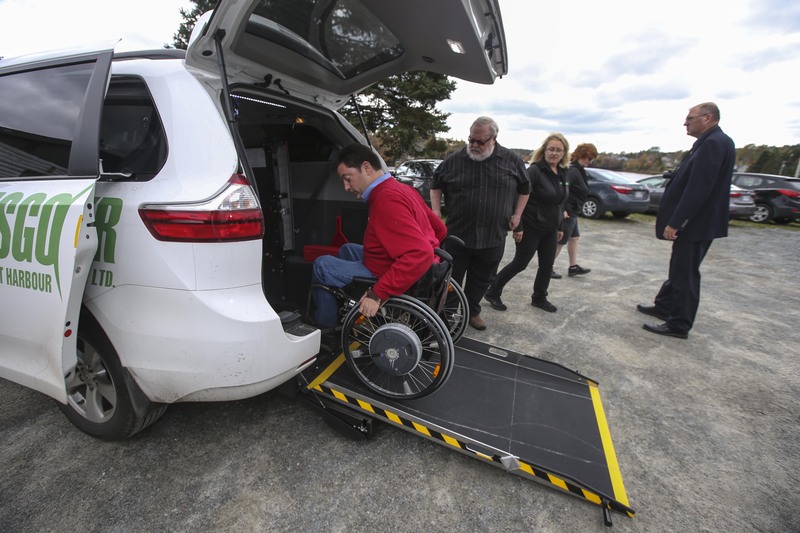 The province provides 66% of the accessible vehicle cost for rural transit organizations but the remainder must be sourced through other means. Being a new organization, these additional funds were not available internally. The Executive Director approached local banking institutions and CBDC Bluewater for assistance. CBDC staff were wonderful and the loan application process was smooth and straightforward. MusGo Rider Valley-Sheet Harbour Cooperative Ltd. was able to receive a Social Enterprise Loan with acceptable interest rates and terms in a timely manner and proceed with the purchase. This wheelchair accessible vehicle has been providing rural transportation to this area for one year and has reached capacity and plans are to purchase another wheelchair accessible vehicle summer of 2018.